Perhaps getting everything lined up for a breathtaking smile can take a bit of finagling. Maybe you’re interested in cosmetic dentistry. At Cary Family Dental, Dr. Allan Acton is commonly seen working miracles on all types of smiles. Just the unknown cost of dental implants or the price of invisible braces can paralyze a person from making the move to improve. Ask us about these and the price of dental restorations in general. Call today for a consultation and discussion about restoring your genuine smile of confidence. We’ll plan with you and recommend the best and most straightforward path forward. Knowing how to get to us will be vital. Find our own “two front doors” at Cary, North Carolina zip code 27511. Jot it down; put it in your phone or GPS; do whatever you have to do. Especially if you’re out in Raleigh. We look forward to seeing our patients coming from the Holly Springs, Apex, NC, and Morrisville areas. Do a little research. Image search for before and after smiles and see what’s possible. A little wisdom will go a long way. But, no worries, we’ll take care of educating you about the possibilities if the research is out of your reach. We want our patients wise about the care they can receive. Rest assured you are not barking up the wrong tree. Just as a sampling, we offer these services: dentures, emergency dental care, Kor whitening, dental crowns, and sedation dentistry. It’s likely we are just who you need. We’re looking to provide dental implants, call us today. 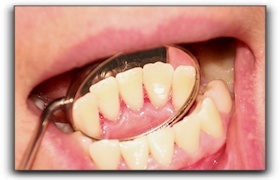 If your interested, take a look at our smile gallery of before and after photos. With all your teeth in a row you are prepared! We hope you’ll settle upon our practice, Cary Family Dental. See you soon.